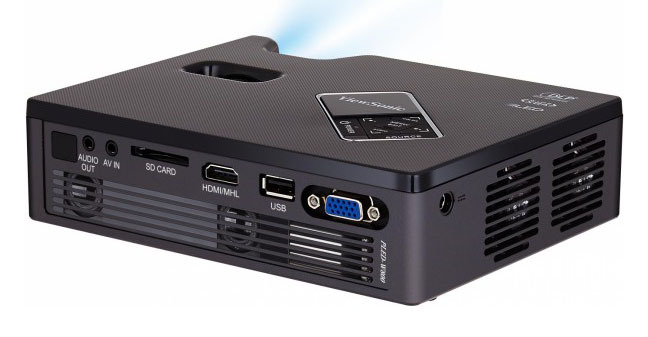 Product Roundup Portable projectors are improving their image. What were once dim curiosities – of use principally to travelling hucksters – have evolved into surprisingly powerful display devices. Designed to project HDMI or laptop sources, USB sticks and SD cards, this new breed of beamers can cast images virtually anywhere. Even that old bugbear of brightness isn’t quite the Achilles’ heel it once was. So which one should you buy? The current crop of ultra portables share many similarities in terms of imaging technology, but there are some distinct practical differences too. 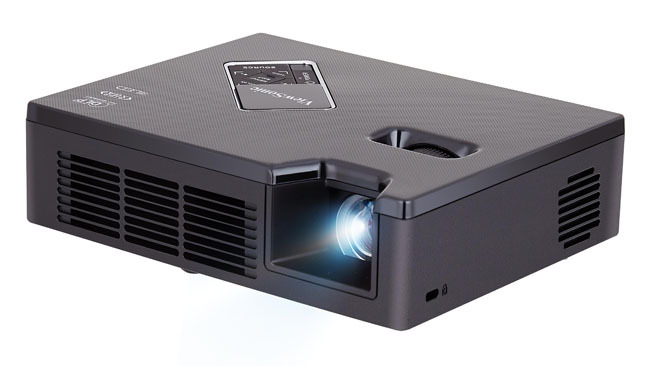 If you want to see just how versatile portable projectors have become, get a hands-on with Viewsonic’s PLED-VW800. This well-made DLP/LED shooter can handle virtually anything. Inputs include HDMI/MHL, PC D-Sub, SD card reader, USB, minijack AV input and 3.5mm audio minijack out. There's onboard sound too, with a pair of diminutive rear facing drivers, plus a full-size IR remote. You can add Wi-Fi functionality with an optional dongle, the £49 PJ-WPD-200. This enables you to wirelessly connect directly to compatible mobile devices. Use a UPnP media streaming app for convenient multimedia file playback. There’s also 2GB of onboard memory, for PC-less presentations. The Viewsonic is native WXGA 1200 x 800 resolution and rated at 800 lumens. It can comfortably throw a 2m (across the diagonal) image without sacrificing too much visual punch, although you will want to watch movies in a darkened room. Operational noise is relatively low. A low-level fan whoosh is easily disguised by the onboard audio system. 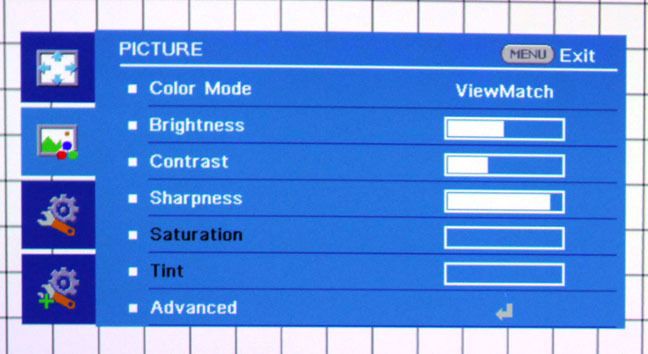 Colour fidelity is excellent, with particularly authentic reds and blues. Contrast is limited though. Keep it at less than half way to ensure that whites and details don't bleach out. Excel and PowerPoint look crisp enough though. If you need versatility and your budget can stretch this far, it’s definitely worth checking out.